Less known than Phuket and its ton of luxury resorts, Ko Samui is a great destination to discover beautiful beaches and small islands. 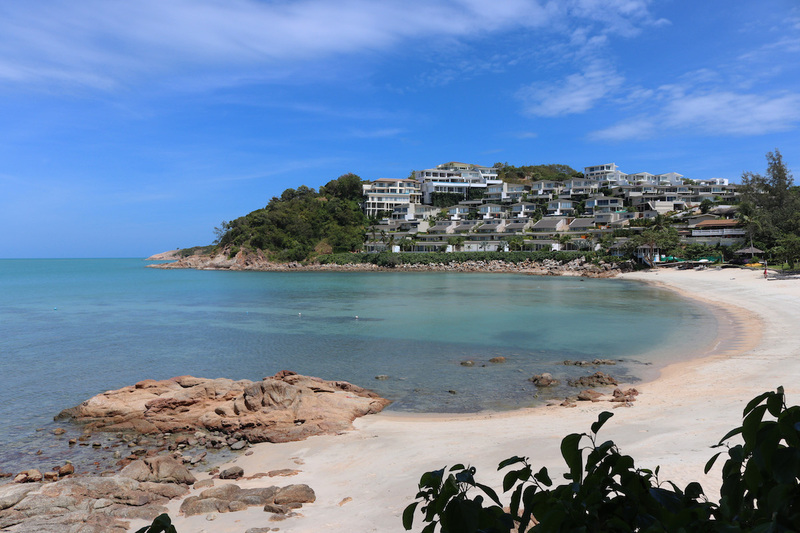 Just 1-hour flight from Bangkok, it also has a nice selction of high-end residences like the Six Senses Samui where we stayed 5 days. Landing at Ko Samui is quite an experience: flying above a magnificent collection of islands, then above Big Buddha Temple to finally land in a small airport. A good start for memorable holidays! And that was only the beginning for us, since we booked 5 nights in a top-notch resort in the North of the island, Six Senses Samui. Was it a good choice? Definitely yes, and this review will give you more details. Once arriving at Six Senses Samui open-air lobby, what takes you immediately is the outstanding view over the Gulf of Thailand and its blue waters. The resort is apart from the busy parts of the island, so the atmosphere is completely calm and quiet. Flights are landing in the nearby airport so you can sometimes hear them, but nothing outrageous don’t worry. 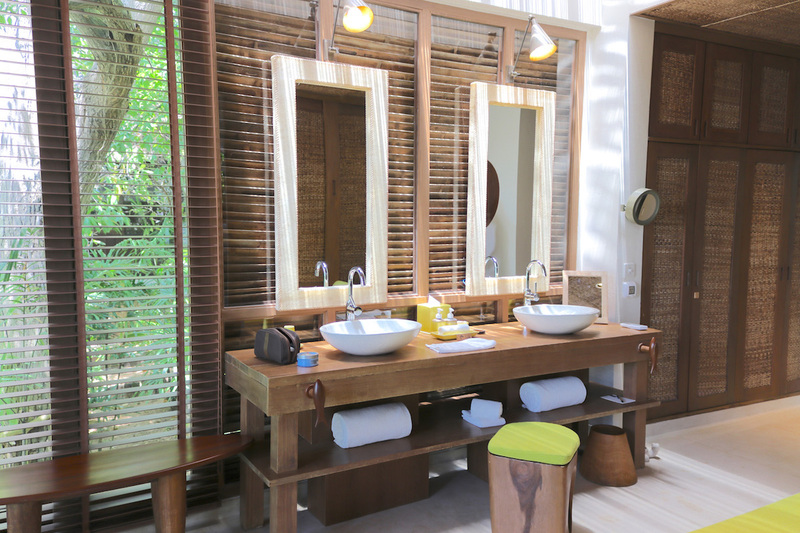 Like any other Six Senses resort, luxury is discreet and wood is everywhere. This is an eco-friendly place, you barely can’t see the villas in the nature and this is why I love this hotel’s brand so much! On top of that, a long list of activities is available for both leisurely and adventurer guests: boat tour, temples tour, zip lines, quad biking… I personally recommend to rent a scooter and ride around the small roads of the island. You have to be careful, but that’s a great discovery! 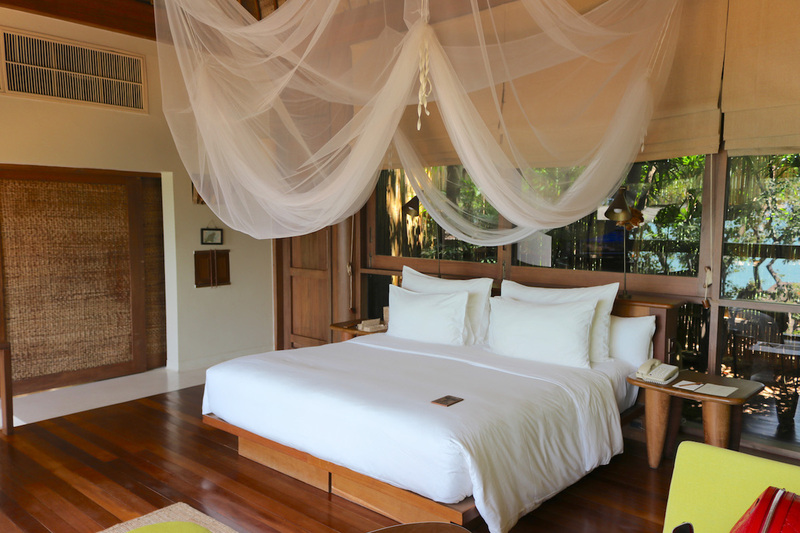 Accommodation is always a key point in a Six Senses residence, and Ko Samui is no exception. The Ocean View Pool Villa #14 we had was large, modern and eco-friendly, with a large outdoor pool overlooking the sea. From the inside, design is pretty similar to Phuket or Vietnam resorts. An epurate style with warm wooden furnitures and a modern hi-fi installation, bathed in light. Guest’s eyes are immediately taken by the breathtaking ocean view, by blue sky it’s just splendid. I particularly liked the bathroom and its sunken bathtub offering the same sea view, as well as the outdoor shower! 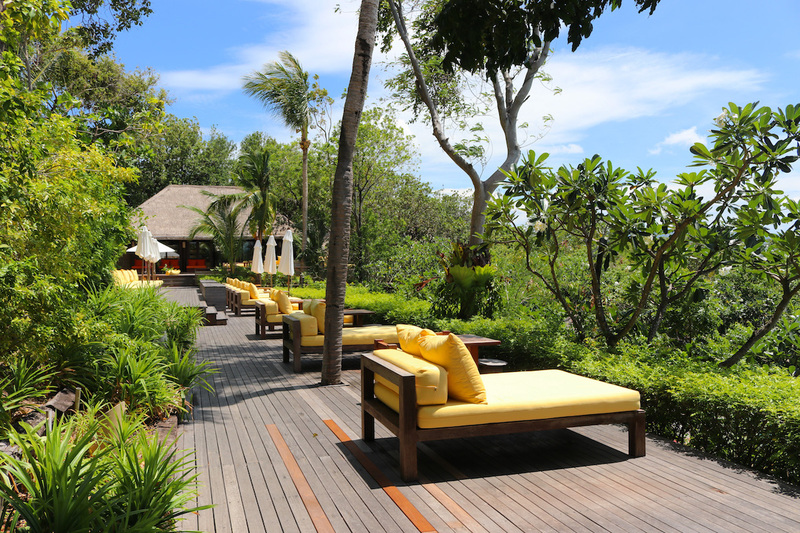 From the outside, the villa offers a large wooden terrace with a 18sqm infinity pool, sunloungers and a dining area. Depending on the villa’s location you will get direct sunlight in the morning or in the afternoon, which are both enjoyable. I recommend to ask for a villa close the resort’s entrance (near lobby, restaurant, bikes) so you don’t need to call a buggy each time you want to move… Because the resort is pretty large! And please don’t book a Hideway Villa; going there to book a villa without pool is like going to a pizzeria to eat a salad… It’s a no-sense :) By the way our villa #14 was perfectly located. 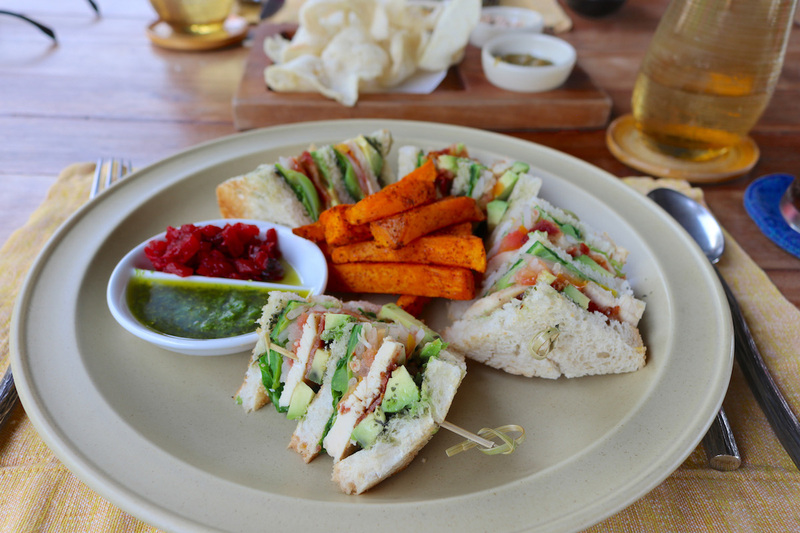 There are two dining places at Six Senses Samui. 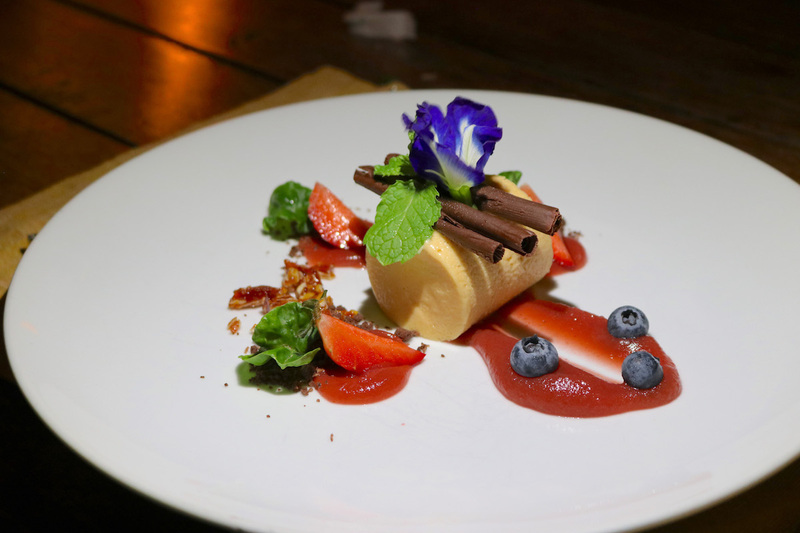 An outdoor fine-dining and signature restaurant “Dining On The Rocks” with a gorgeous view of the Gulf of Thailand, opened only for dinner, and an all-day dining restaurant “Dining On The Hill”. We went everyday to Dining On The Hill for breakfast, lunch and dinner. Food selection and quality was amazing, and I recommend both their Thai and international dishes. Their Kao Phad (fried rice in Thai style) is just delicious! Waiters were very kind and attentive during our stay, but slowness of the kitchen was sometimes anoying… I hope they will improve this part in a near future. 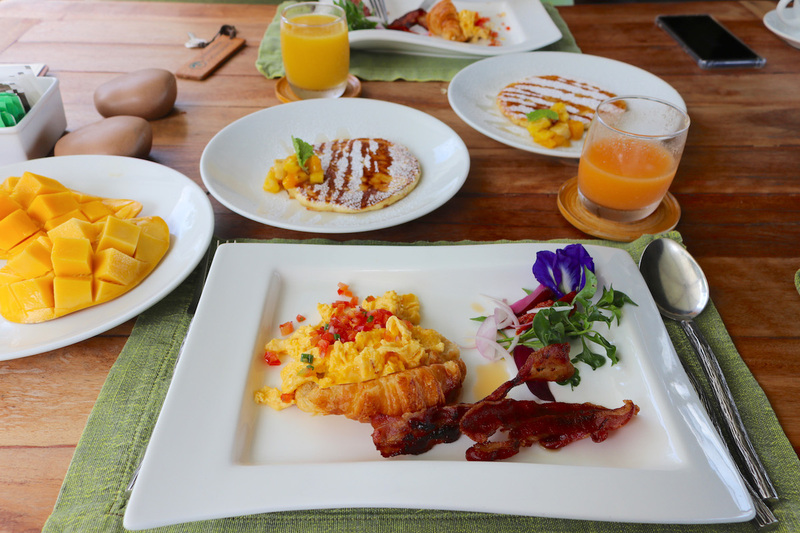 If you stay a week or more, the menu may seem to be repetitive for you. Don’t worry, a few external dining places are available at a easy walking distance from the beach or the road. Service quality of a Six Senses resort has always seemed to be an in-between for me. Not as top-notch as Four Seasons or Aman resorts, but definitely higher and more personalized than Intercontinental or Shangri-La ones. 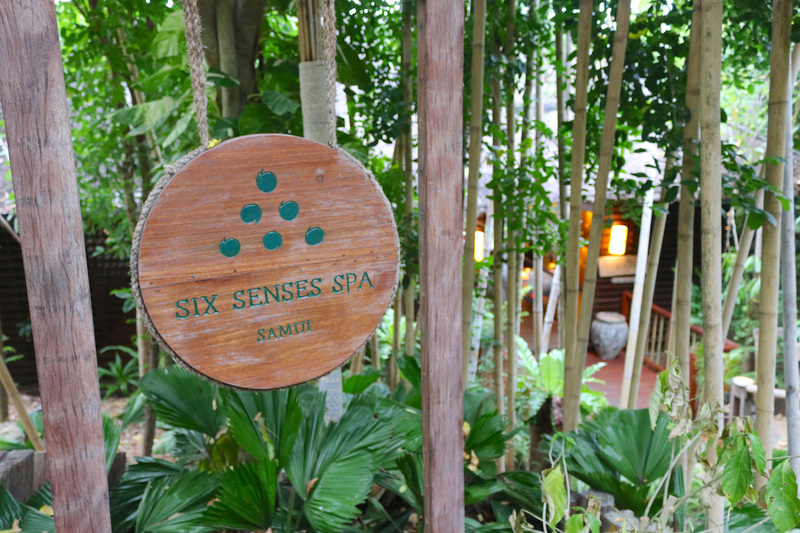 Six Senses Samui definitely corresponds to this description. Let’s make it clear: staff from reception, restaurant, spa and beach side have been faultless throughout our stay. Some of them even being smartly proactive, like our G.E.M. Zoé was (Guest Experience Maker). They made us feel totally comfortable during 5 days! Because of its location on the island and because of the quality of its pool villas and services, I definitely recommend to book Six Senses for a trip to Ko Samui. Is it a destination in itself? No, but that’s to me a very nice luxury place to stay in the island. Just go and relax! Stayed from September 11th to 16th, 2018 – Sponsored media stay. 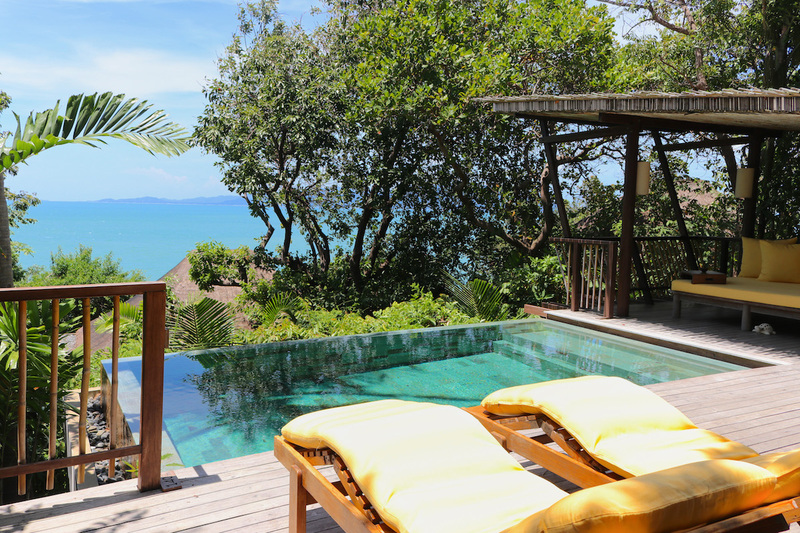 Six Senses Samui opened in 2004, has been refurbished in 2015 and is composed of 66 villas. 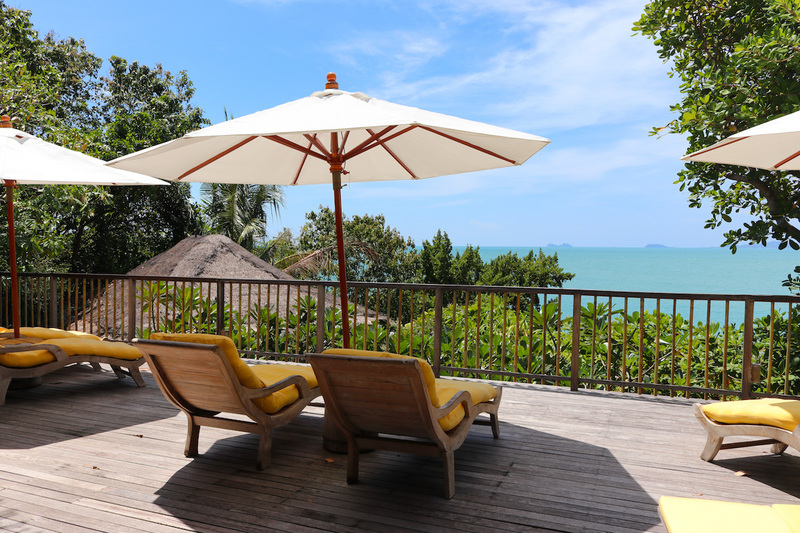 I stayed in an Ocean View Pool Villa – around 160sqm – which public rate starts at THB 16,200/night++. Koh Samui, Suratthani 84320, Thailand.